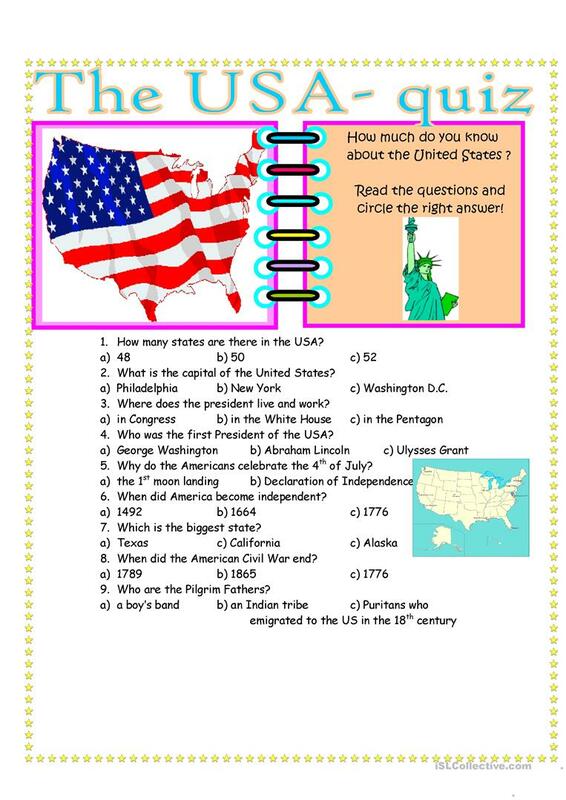 A quiz to learn some facts about the USA. The above downloadable worksheet is recommended for high school students and elementary school students at Pre-intermediate (A2) and Intermediate (B1) level. It features the theme of United States of America (USA).